On the surface, amassing a huge number of downloads within the modern mobile marketplace would appear to be a staggering task. Yet, when you look at successful games such as 1010!, Ballz, Agar.io, Dune, or Piano Tiles, the designs behind them are so simple plenty of developers are within rights to ask themselves, ‘just why didn’t I think of that?’. The term ‘hypercasual’ has become a collective way to reference games of this nature. Such titles typically have a single mechanic and a single goal, yet reaching a high score can be fiendishly difficult. There are a number of publishers – Ketchapp, Voodoo, and Gram to name a few – that, within the last couple of years, have managed to gather a daily audience that could rival most large television networks. It’s naive to believe that each of these publishers have a ‘secret sauce’, yet how have they managed to get a game to 100 million downloads? How do these studios choose the best prototypes? What does it take to design the perfect hypercasual experience? And, most importantly, just how do they make it to 100 million downloads? At their core, all of these hypercasual games are built around a single mechanic. Indeed, it would be fair to suggest the all-conquering Flappy Bird could be considered the beginning of the hypercasual genre on mobile. A player’s score is used as the primary metric for a users progress at perfecting that mechanic. This is very different from say a BBB (Base-Battle-Build), in which users strategically choose how to deploy the perfect army, or a Match-3 game that relies on a balance of skill and luck of where gems will fall. Great hypercasual games are easy to grasp, but rely on players having to perfect the mechanic through repetition, measured via a high score. As a result, players quickly grasp that the more they play, the better they get. 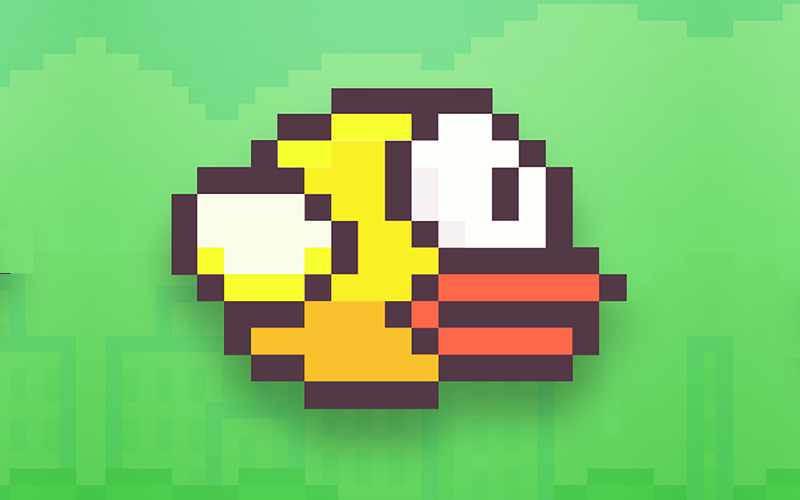 For example, with Flappy Bird your first run was unlikely to be too successful, but repeated play teaches the player how to control, time and avoid the simple obstacles. Perfecting the basic mechanics quickly feels fun. Nevertheless, the best hypercasual games still convey the idea that, even with consistent improvements, there is still a long way to go before the player reaches the top. 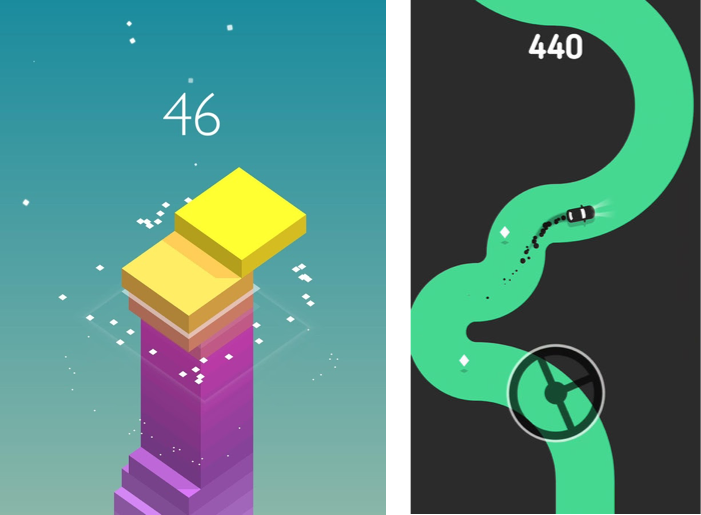 Great games in this genre rely on mechanics that provide all the tools a player needs from the start of the game, either with a single life – such as Flappy Bird – or with multiple lives, like Ballz or a full base, like Stack. In each case, winning is in the hands of the player and loosing is clear from the outset. Perhaps most interestingly, to date, there have been three genres of game that have perfected the hypercasual model; arcade, puzzle and MMO games. Titles like Stack, Snake vs Blocks, Finger Racer are the most prominent successes of arcade hypercasual games. All typically rely on timing-based mechanics; tap at the right time, swipe at the right time. This is mostly due to the way timing mechanics work best with touch input. For example, touch controls provide very accurate timing and directional responses, but are particularly poor at single point accuracy. Likewise, mobile session design is much shorter than other medium’s, and so the ability to pick up and play within 10 seconds is one reason people will turn to a hypercasual game over a simulation or RPG title. The immediacy of the mechanic and the simplicity of the tools available make it a superior choice when time is at a premium. Tapping and swiping both open up a lot of different gameplay ideas, but most top performing hypercasual games rely on timing and accuracy as the crucial skills to master. When thinking of the core mechanic the best ones usually are very hard to perfect, but the player will have a stat such as health, size or speed that provide them with a small cushion. In contrast, serving up too harsh of a mechanic will see players drop out far too quickly. If you are testing ideas for a mechanic, try to formulate one that provides players with lots of room to fail in small chunks (Stack), or in 1 large chunk (Flappy Bird). Think of it as either 1 – 0 , a clear and simple challenge. Or 100 – 0, where the more you have complicates the primary action of the mechanic. You loose more earlier on and then the mechanic becomes more manageable. Puzzle games usually remove dexterity and timing and replace them with strategy and planning. Great puzzle games require players to think in advance and formulate a strategy in order to win. The real difference with hypercasual puzzle, however, is that games don’t have a clear end. This was the strategy adopted by 1010!, MergeTown or 2048, and in each case there are ways the player can lose but no real way they can win. This is different from the standard puzzle genre games such as Solitaire or Match-3 games where in each case the player usually completes a round and then is presented with another round. As such, in more traditional puzzle games, the ability to win is what drives players to retry. 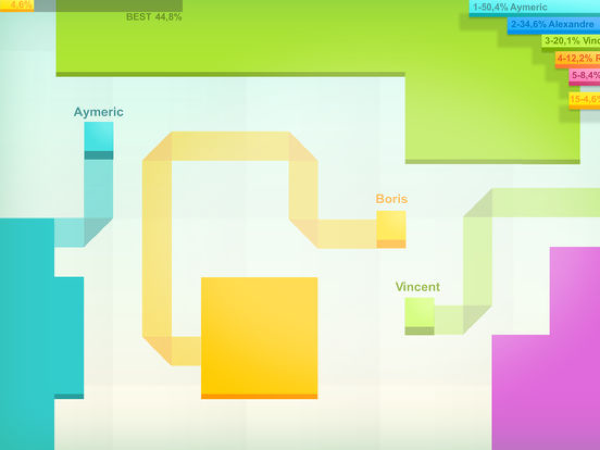 However, hypercasual puzzle games remove even that goal to maintain simplicity. Removing obstacles is one of the key ways to make a product more casual. The easier it is for players to start a game, the easier it is for them to understand it – it’s lowest common denominator gaming. Simplifying games is clearly what many teams try to do, the difficulty with a Puzzle game is that there is still enough strategic choice that a player can still make a bad move. Puzzle games must tread a fine line between removing enough rules or restrictions from the player whilst maintaining a mechanic that has enough depth for players to perfect. Trial and error when it comes to the game’s development is typically the approach required to work out at what size and scale these mechanics breakdown – for instance, there are reasons 2048 has a 5×5 board or Match-3 is more popular than Match-4 or Match-5. The balance of randomness within the constraints of the board are where teams should iterate the most. Classic MMOs such as World of Warcraft or EVE have complex stories and huge number of mechanics. In the hypercasual realm, games like Agar.io or Paper.io create dynamic experiences often with single goals and simple controls. Players interact with each other to create emergent gameplay in real time, but their focus remains singular – be the biggest, be the longest. The strategic choices the player has to make and concentration required as a result means play time will be longer than typical hypercasual rounds, but perfecting the mechanic will always require multiple attempts. Indeed, mastering the controls and timing is the only way players will learn. The actions of other players rather than computer generated scripts or increasing speed create the pressure and difficulty. This always tends to feel more enjoyable as the difficulty develops with your play rather than being set in advance by a game designer. Perfecting an MMO hypercasual game is not as clear cut as the other genres, but score is still used as the simplest measure of success. This leads players to naturally want to be first – an achievement only one person can ever attain, of course! The drive for perfection is challenging, but in this case perfection is attainable – at least until your device runs out of battery! The three different hypercasual genres detailed above take different slants at providing challenge for players, yet all three rely on players learning a skill in order to achieve higher scores. For a successful hypercasual game to stick, that mechanic must scale. Scaling requires that the mechanic, environment or context to gradually increase in difficulty, whilst also increasing the score received. In some cases scale pushes the mechanic, making it harder to proceed. Conversely, in other cases the mechanic doesn’t grow harder but the board or level becomes more complex – i.e. players have to think harder, think deeper or plan further ahead in order to succeed. 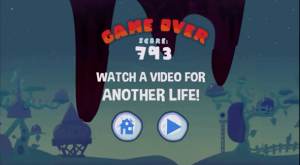 Scores are necessary so players can compete with themselves (as well as others), so developers have to make sure scores are front and center of the user experience. Scaling usually makes the games harder with time in order to reduce the likelihood of a truly endless game. If a game were endless they usually are no longer fun because the threat of losing or progression from winning are lessened. If a game ends up heading down either of these tracks, the developer in question must meet it head on and develop features that end players sessions more quickly. 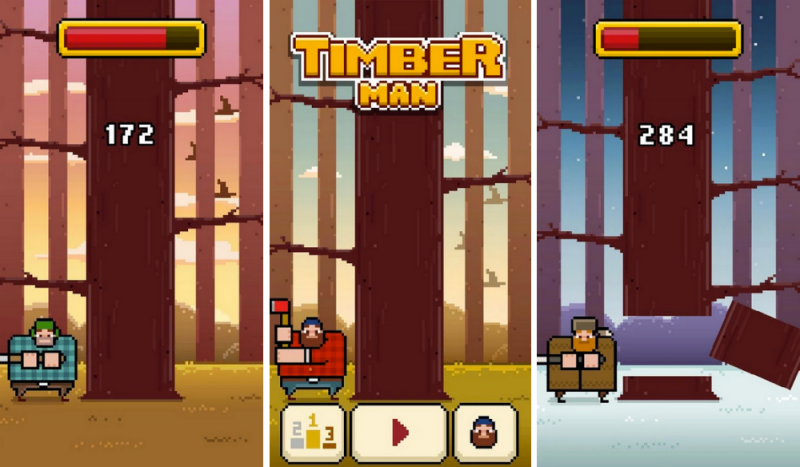 Timberman is one of the better examples of how a developer has learned to scale the mechanic through the use of a timer bar. The more the Timberman chops, the more the bar fills, but take too long and the bar will run out and the player will reach the end. The rate at which the bar drops also speeds up the more the player chops, meaning the best players get so good at the mechanic they don’t make any mistakes whatsoever but are still beaten by that damn bar! I’ve actually been present when some scores over 700 have been placed, which makes for some seriously intense thumb tapping. As such, it’s important games in this genre increase pressure overtime, but don’t punish great players just because they are doing well. User Testing is invaluable here. A natural cadence of around one to two minutes of gameplay allows people to experience the mechanic in a safe space for 20-30 seconds before gradually increasing the pressure and forcing players to concentrate. The level of concentration can be immensely high and keeping a player fully engaged for as long as possible is the kind of rush every developer should be looking to master. Games that don’t find the balance, however, will be greeted with players who think gameplay is either too tough or, perhaps even more harshly, too boring. Getting on top of this progression, is the key to designing a game that hits 100 million downloads. One very important fact to note: The only viable business model for hypercasual games so far is advertising. While there may also be opportunities to sell user data such as location or activity to various data companies, the simplicity of the mechanics make IAP irrelevant. 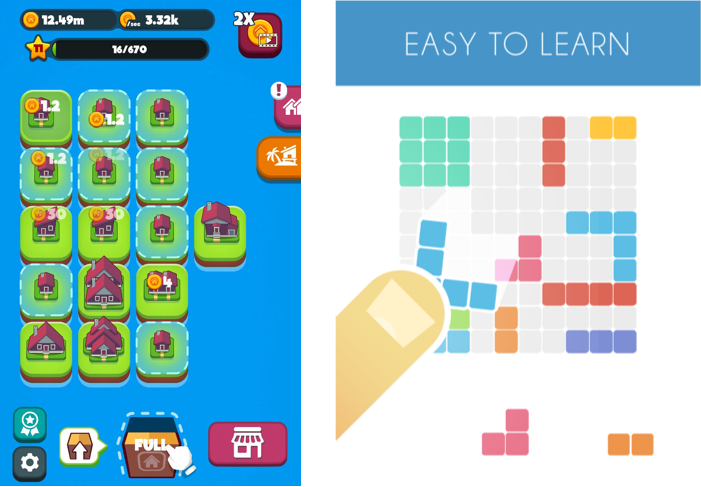 Here at Mobile Free To Play we’ve written articles aplenty on how video ads can be a viable business model to grow a company, but hypercasual games are where they excel. The sheer scale of downloads coupled with the short round times and repeatable gameplay mean that players can view multiple ads per session and multiple sessions per day. Also of note, people often think that hypercasual games have very poor retention. Let me state right here and now, this is a complete myth. Many hypercasual games can have extremely high 1-7 day retention – 60 percent or more is not unknown for day one (D1). It’s true that they do suffer from D30 onwards, but they can more than make up for this in the number of sessions and stickiness in the short term. The monetisation model relies on a smash and grab ad philosophy, which means that developers attempt to ensure all users see at least one ad a session, with more ads popping up after every game loop. In this way, every app start becomes a new opportunity to push players into more hypercasual games. This might lead to less engagement in a single app, but developers can see a much larger network growth when measured across all apps. The conclusion is, each hypercasual app becomes another opportunity to place another add, so the more successful hypercasual apps you have out there, the better. At the time of writing (January, 2018) the number of apps each publisher/developer had live on the Store. Not all developers have the luxury of such a large network of apps or users, but it’s possible to use their tricks to maximise your ROI. One crafty trick of the hypercasual publishers is the on what I call the ‘app start ad’ – or the single advert that shows before the game even takes place. It may feel very aggressive, but it guarantees at least one ad view per session, which can add up on the bottom line. Players have come to expect that these casual expeiences are powered via ad revenue and so long as you provide an IAP to stop the advertising, I think it’s fair to subjegate players to a higher volume of ads. 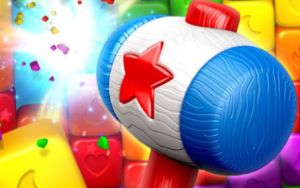 It’s important to note that mobile gaming is as much about marketing as it is game design. One of the main reasons for the rise of hypercasual is its incredibly low CPI costs and high CTR from ads. This is due to the sheer simplicity of the gameplay, enabling a 10-20 second ad to communicate the entire game to the player, means more people are convinced of enjoying the game by watching the ad. This leads to a very high CTR (Click-thru-rate) and IR (Install Rate) as they know what they are getting. The best ads show off the gameplay directly and don’t need fancy soundtracks or 3D models. Getting your Ads and game to market and testing the response rate is almost as important as developing the game. The market decides which hypercasual games will succeed. The market has become overly saturated recently and thus a common art style has been established. Clean and simple vector graphics – usually with strong and bold tones – stand out and help players make quick decisions on whether they will like the game. Sticking within this style can help people decide without even playing your game, what type of game it will be. Again the clearer your game is for a consumer, the more likely they are to impulsively decide if they want to play your game. Loyalty hard to come by with HyperCasual gaming, with players quickly picking up and deleting titles every day. 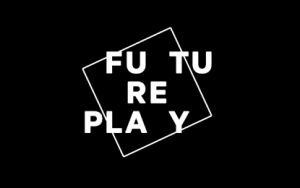 Make sure that players can remember your game name and that this closely represents your core mechanic; Ballz, Dunk!, and Piano Tiles are great examples. By maintaining a simple theme, name and mechanic you provide the broadest audience appeal. Hypercasual titles can drive upto 10x the number of downloads for similar budgets as RPG or Strategy Releases. They may not command the same Lifetime Value (LTV), but they can still get into the charts. This in turn leads to a greater number of organic downloads lowering the eCPI even further, completing the virtuous game marketing circle. The sheer scale that can be achieved by modern marketing networks means that if done correctly and with budget spent in the right way, games can skyrockets, doing over a million download per day worldwide. Designing hypercasual games can initially seem very simple, but creating success is as much an artform as developing a strong economy or deep narrative. Making money from the genre requires a serious investment in a large variety of ad partners and understanding of the ad monetization model. The sheer scale of the games can make huge revenue via ads, but the fickle nature of the market mean unless you thought about your integrations early on, you might miss a lot of revenue. 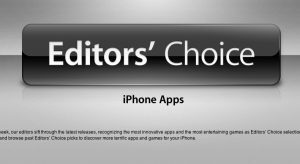 If you keep it simple, create an innovative twist on a simple mechanic and the market likes your brand – then who knows, you might reach the lofty heights of an eight-figure app store success!